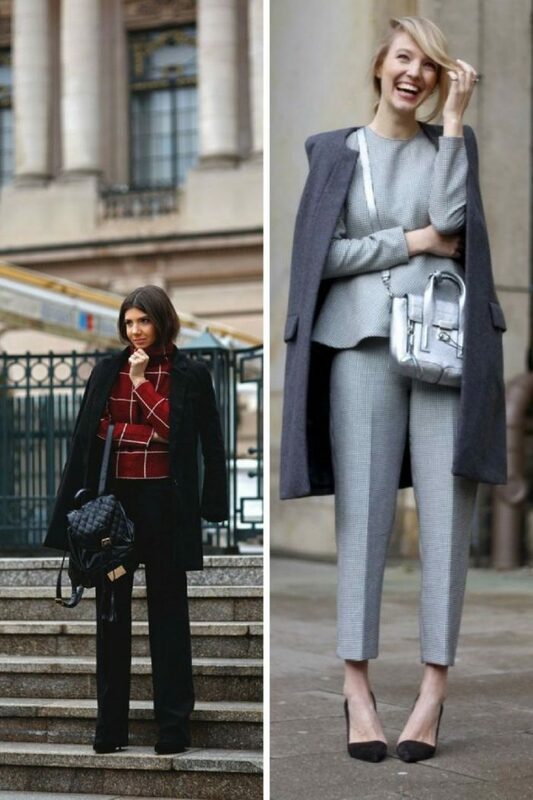 Today’s topic is winter office wardrobe must-haves to try this year. I am happy to share with you my favorite everyday looks that gonna update your workwear once and for all. In this collection, I gathered awesome clothing styles that will keep you warm and comfy from 9 to 5. Here are shown beautiful knitwear creations, plaid shirts, tweed suits, turtlenecks, as well as cozy opaque tights and functional trench-coats. Keep on scrolling down your mouse to find your favorite must-haves that will save you from heavy frosts. The first clothing piece that popped in my mind is the heavy knitted sweater. This season I recommend to buy a chunky and thick knit design. You can create a preppy look by wearing a buttoned shirt underneath big sweater. I do love to see ladies wearing cream white chunky sweaters paired with dark floral skirts, as well as comfy oversized designs worn with coats and trench coats. Next garment to try for work is the plaid shirt. This is an ideal way to achieve bright look during office hours. I do like wearing classic checkered patterns for their vivid glance. Believe me, your working wardrobe will never be complete without at least one plaid print piece. I am so in love with blue-red gingham button-downs tucked in black pencil skirts, as well as with plaid shirts worn underneath emerald cozy sweaters. The next office-friendly outfit is a tweed suit. I am pretty sure it’s gonna be a must-have for your working hours. If you do not own one, then I highly recommend to take a look through my favorites and choose the one for your next week wear. I would recommend you to experiment with different combos, by wearing tops and bottoms separately. For instance, you can try on tweed jacket and pair it with skinny jeans on Fridays, or balance the look by teaming tweed trousers/ skirt with basic blouse and cardigan. My true love is turtleneck tops. They are one of my favorites, because of a stunning look and functionality. Ladies love to wear them because of a professional appearance. Try them on with blazers, pencil skirts or classy trousers. This top has a kind of tomboyish vibe. If you do wish to try on something ladylike, then I recommend to buy opaque tights. They are ideal for wearing with skirts and dresses. Plus, tights gonna keep your legs warm. I am 100% sure they will compliment your outfit. Go for black tights to underline your office-friendly separates. The last thing I wanted to mention is the trench coat. This outerwear is a must-have for those who are in love with classics. 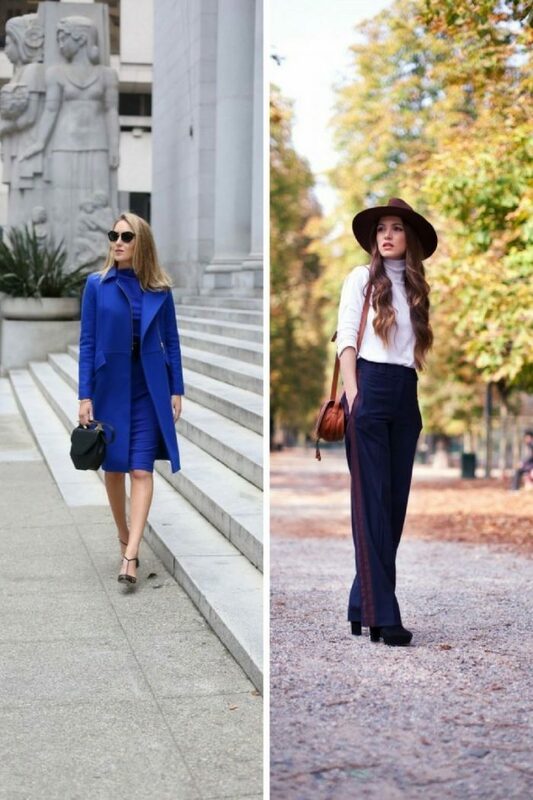 Trench coat can make any outfit look polished and posh. I recommend to choose design that comes with a belt. This way you gonna underline your ladylike silhouette. My favorite one is the khaki grey version which makes any office outfit look ideal. Anyway, I would love to hear your own thoughts regarding these office-friendly clothes. Do You have any thoughts about Winter Office Wardrobe Must Haves For Women? 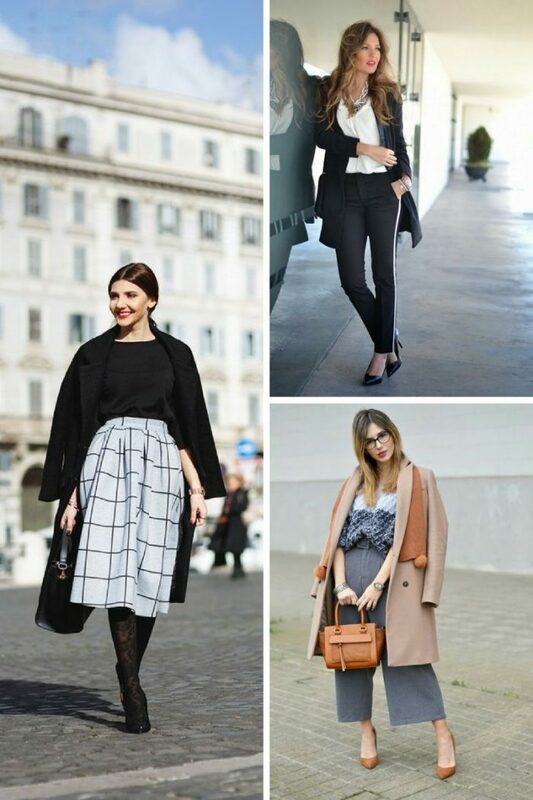 Here are Fashion Tips pictures and trendy women’s outfits which are in style in 2019: How To Wear Trench Coats For Women, Knitted Sweaters, Must Have Fashion For Winter, Must Have Fashion Trends For Women, Office Apparel, Office Tops, Office Trends, Plaid Shirts, Professional Clothes, Turtleneck Tops, Tweed Suits, What To Wear At Work, Work Style, Workwear Bottoms and tips on how to wear them on the streets.